So this page is gonna be a bit of a collection of external services that I used over the years that honestly deserve tribute, and if I can give ’em a extra sale then I’m happy as hell to do so as a thank you to ’em for their awesome services. For the most part these are the internet sellers with a skilled and awesome craft that I personally have bought from, so don’t expect a library of resin casters and so on. If you’re looking for Ray’s Kits Decals, hit up the “Decals” tab above for all the sets I’ve created over time. Joseph Osborne of Fireball has four incredible services that aren’t just affordable, he also constantly adds more to his stock and has for years now. One reason many kit builders buy from him is that he’s one of the few, if not only that makes white letter tire decals that aren’t just scale appropriate and always look good, they’re also printed perfectly and he’s got well over 70 unique choices these days, not to mention they go for just 2 bucks a set(always printed with a extra, incase you mess up, which is totally awesome). Aside from that, he also has a line of extremely detailed carbs for big block V8s, door handles, proper cast rubber tires, rims and wheel backs that are more authentic than most of what Revell and AMT ship with their kits, and the list goes on. He also has a giant library of aircraft supplies if that’s your thing, though as of March 2017 he no longer casts the aircraft stuff so get ’em while they last. By a stretch, the best photo etched parts seller out there. Hands down. In terms of detail, Hobby Design Japan goes deeper but also costs more and has a limited choice for American models(the Challenger, ‘Cuda and Mustang kits) but MCG has the opposite covered. Nearly all high quality Revell/Monogram and AMT Ertl kits have a photo etch detail up set available. They’re all very, very affordable. From the 10 dollar ish sets that are sort of small, to the 17-20 dollar sets that will cover a whole kit, in some cases even two. The best thing about Model Car Garage’s sets is that they offer insane choice, even the cheapest sets have the parts for all the car’s varieties. Say, a Oldsmobile Cutlass; it’ll have the 442 emblems, the Hurst/Olds emblems and the appropriate grilles, for instance. The ’69 Camaro? All engine options, SS, Z/28 and RS, plus Yenko and other dealership badges and even El Camino badges. A rarer example, the Ford Torino has the entire line of Torino, Gran Torino Torino, Brougham and so on badges covered. Aside from that, they sell all the detailing things you can guess to find, spark plug wires, grille mesh, wire holders, hood latches, hot rod flames, license plate holders, interior flocking, so on. You always get so much more than you asked for with MGC and they’ve been around for well over two and a half decades. Clearly Scale is a Canadian resin caster that I discovered a whole back that has some of the best conversion and engine kits that I have ever seen. As of writing this, he has a whole collection of LSX454 inspired Olds 442 engines, with lots of choices in terms of carbs, turbo or superchargers, so on. Lots of optional goodies for the VW Golf MkI through IV. He also has a series of giant GM, Chrysler/Dodge and even Lexus engines that are totally custom. On top of that, he’s got a wide range of wheels, racing seats and luxury seats and most importantly; long lengths of spark plug wire. I have to admit, the quality and the complexity of the casts is… just breath taking, and it’s a hell of a cheap buy for what you end up getting, think in the 15 to 20 dollar range for a complete engine cast with all the extras. He does all the casting, flash removing and packing by hand and is very personal about his practice and it looks like he’s still in for the long ride with frequent store updates. Pegasus Hobbies has a giant selection of wheels available, complete with proper rubber tires. They’re all reproductions of existing wheels(for the most part), but they’re cheap and they’re actually pretty damn good all things considered. For give or take 8 bucks per set of four. Generally they’re all large wheels with low profile tires that hang somewhere between the 1/24th and 1/25th scale, as in they’ll look okay on a 1/25th scale car and a little bit small on a 1/24th scale car, but they still do the trick. They’re unique, they’re high quality and you get a choice of a giant catalog full of wheels incase you’re not satisfied with what the kit came with by default. 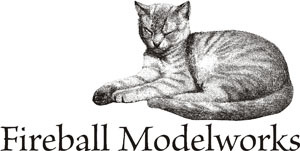 A simple yet super effective service comes from Best Model Car Parts, responsible for printing gauges and dash elements for all sorts of model kits that lack any included decals for them. They’re not waterslide, instead they are high quality prints that you simply cut out and attach to the dash. They’re printed with a sheen so it actually looks like proper dials once placed. They’re dirt cheap, high quality, perfect fits and honestly you can’t ask for more. Aside from that, they do the same treatment with license plates. Per state, giving you proper choice from a set of plates dating(custom even, if you so desire!) back to the early 1910s all the way to the most modern variety. Truly awesome stuff! For close to twenty years, Keith Marks has been operating out of Canada to re-supply the world with fantastic quality decal prints. With the vast majority of his works bringing all the variety to model cars(or specifically muscle cars) that were available on the real thing, like say all the stripe and trim options. He also has extended decal sheets for already existing kits, while some may already ship with extensive sheets, Marks goes even deeper. What he also has is out of production kits’ decal sheets, for instance one I’ve been looking forever for; the ’74 Camaro Z/28 stripes. On top of that, he has totally custom works too, nearly every dealer package(think Yenko, Baldwin, so on) decal set for most models and has nearly every color combination of stripes known to man. They’re also really affordable(15 bucks a sheet), and Keith usually replies within a day so ordering from him which is just sending out a e-mail to his address listed on his Fokti page and saying what you’d like and what color variation of it and he’ll reply with price and shipping costs. A truly appreciated service that makes the model kit world a little more unique with every sheet. Slixx has been around forever and is legendary under the kit builders for the gargantuan variety. While Keith Marks is more specific towards muscle cars and luxury cars of the sixties, seventies and eighties, Slixx leans more towards performance, funny and race car decal sheets. NASCAR, Funny Car, Trans-American, dragster, Super Stock, so forth, Slixx has it. The library is frickin’ huge and they’re still adding more every month. Plus, they’re usually under 20 bucks a set with shipping included. Here’s list of manufacturers of a variety of materials that I either can’t pinpoint a website to or are no longer in business, or just something I used merely one item from. Regardless, you may find some use out of these objects! DETAIL MASTER – PE(photo etch) parts, engine components wired distributors and more. PLASTIC DREAMS – Interior floor mats with branding. BARE METAL FOIL CO. – Silver/chrome/black foil for detailing and DIY decal printing supplies. SCALE REPROS PLUS – Very high quality engine kits, blower kits, distributors, decals and more. FORWARD RESIN – Amazing quality resin wheels, from classic mags and five spoke muscle car wheels to rarer finds like the Pontiac honey comb wheels and the ’81-’87 Camaro/Monte Carlo wheels, plus as cheap as can be. AOSHIMA WHEELS(1/24) – Speaking of wheels, for most Japanese kits Aoshima’s collection of wheels match up directly with ’em to give ’em some more tuner flair. They’re really on the cheap end, give or take 10-15 bucks a set of four with rubber tires, high quality proper licensed rims and the rubber pieces that allow it to fit on most Aoshima, Fujimi and Tamiya kits. Usually Aoshima sets also carry a nice little bonus decal sheet for the rims and comes with little license plates with logos, extra trunk lid emblems, so forth. Check eBay for a much larger selection, the Aoshima website’s a bit… shallow. FUJIMI WHEELS(1/24) – Fujimi carries a ton more choice than Aoshima, but at the cost of being slightly less high quality. Though it also comes at a third of the price more often than not, plus they carry a lot more world-wide known brands like BBS, Advan, O.Z. Racing, Enkei, Speedline, Watanabe, König, Work, so forth. HOBBYDESIGN JAPAN DETAIL SETS – Hobby Design, in my opinion, is a master of the detail up craft. They make everything from photo etch sets for all sorts of kits, from JDM kits from Tamiya and such, to muscle car sets from Revell. On top of that they have entire transkit sets that upgrade the body, engine, wheels and interior of several kits significantly. Hell, they got everything covered from decal sets, to model figurines. Granted, they don’t come cheap generally, but you get some superb quality in return. DUPLICOLOR SPRAY PAINT CANS – Duplicolor’s the go-to spray cans I’d suggest using, they’re acrylic based and usually mixed exactly to factory specs and most automotive supply sellers have ’em in stock for rather cheap prices. At least, the plain high-gloss colors are fantastic and always in supply, plus with their cheap-as-balls primers you can definitely get a near-real paint job. Also! If you’re European, their RAL Standard color line is perfect. For Dutch, Belgian and German folks I’d suggest CROP Automotive cause they have the widest range for the cheapest prices, everything from premium grade RAL colors, to all shades of primer and even chrome paints(which is better than sending your parts off to be chromed in the UK or the States) and fluorescent colors. MOTIP AUTOMOTIVE SPRAY PAINT – Motip’s the parent company of the above mentioned Duplicolor(Motip-Dupli NL B.V.) and the more designated for proper car spray stuffs. They carry a wide range of, RAL standard colors, nearly all automotive paints by their respective manufacturer codes, metallic, fluorescent, chrome, so forth. If the Duplicolor range doesn’t have it, the parent Motip usually does. Though of course, the mark up in quality means a mark up in price. TAMIYA TS COLOR RANGE – For metallic paints, high gloss clear coats and undercoats there’s nothing better than Tamiya. It’s a legendary brand from model kits all the way to detail parts, but their paint line is easily the best of them all. They’re also quite pricey, prepare to pay quadruple the price of acrylic based automotive paints(Tamiya TS paints are 9.50€/100ml on average, Duplicolor is 8€/400ml, the USA has less availability for Duplicolor paints, though), but they’re worthwhile. HUMBROL ACCESSORIES – Humbrol’s pretty much the only thing for professional model kit accessories such as epoxy, enamel paints, self-repairing cutting boards and such overhere in Europe(Revell’s own line’s the best alternative for US folks) and nearly all the models I’ve built in the last two years have their enamel coats over it, I only recently jumped over to aerosol paint cans for ease and in some respects price. WINDSOR & NEWTON – Easily some of the best quality brushes available in the world. Their quality is nothing short of legendary, from boardgame miniature painters to professional artists, they all swear by ’em and honestly so do I. The issue is that a good brush will cost anywhere between 15 to 25 dollar at the least, but again, it’s the high buy in price that gets you a long last brush that will last a lifetime without splitting, losing hairs or drying out. MOLOTOW ACRYLIC PENS – So, these are basically now the best way to get chrome on your trim without sacrificing anything. They are as cheap as proper acrylic chrome can be, not to mention they don’t only have chrome; they got literally every RAL color, on top of excellent blacks, whites, metallics and so forth but their chrome pen; it’s simply, undoubtedly the best.